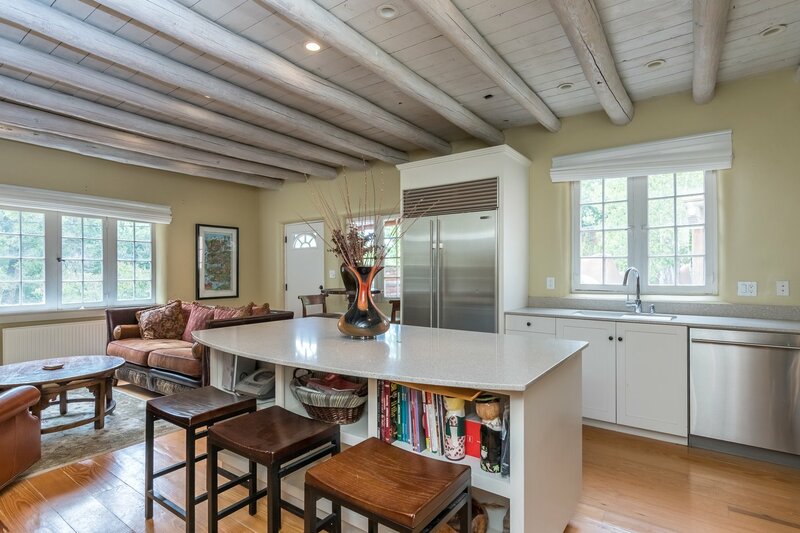 Situated on a corner lot in the Historic Eastside district, this 3 bedroom 3 bath home offers exceptional in-town living in a wonderfully tranquil setting. The expansive living room makes the perfect place to relax or to entertain guests, with brick flooring, vigas, and a skylight to give the room a bright, open feel. 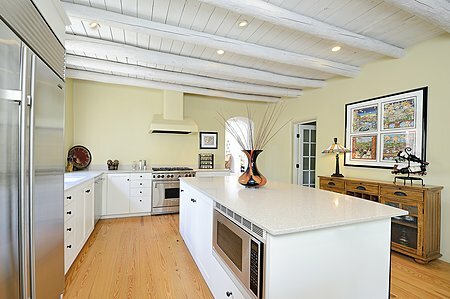 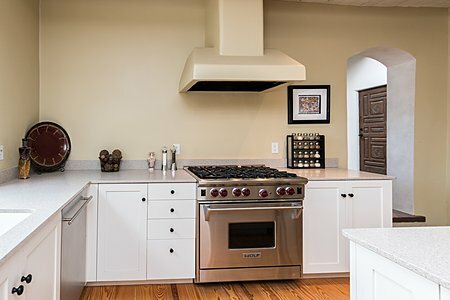 The dining room and kitchen join together in the open floorplan, with the impressive cook's kitchen featuring a Sub-Zero refrigerator, gas oven with exhaust, and a large island which could also be used as a dining area. 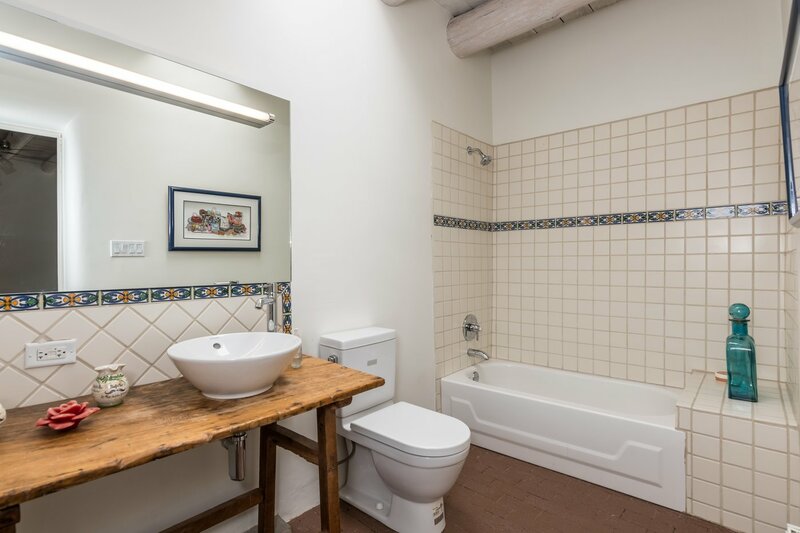 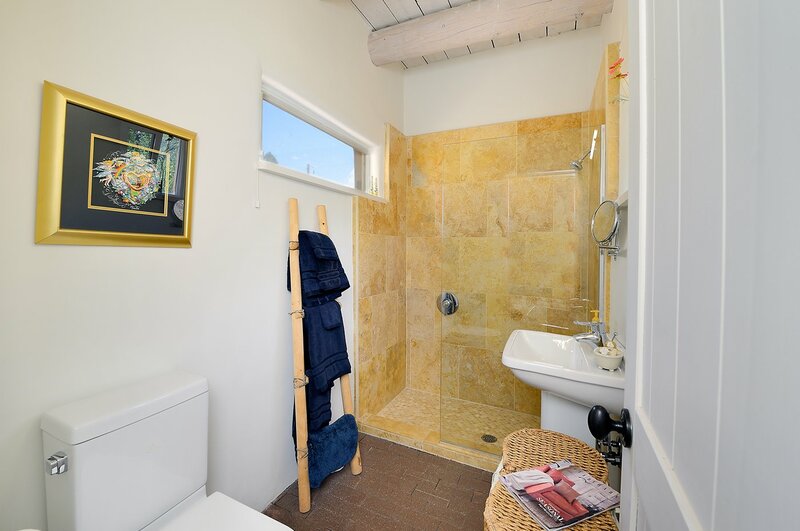 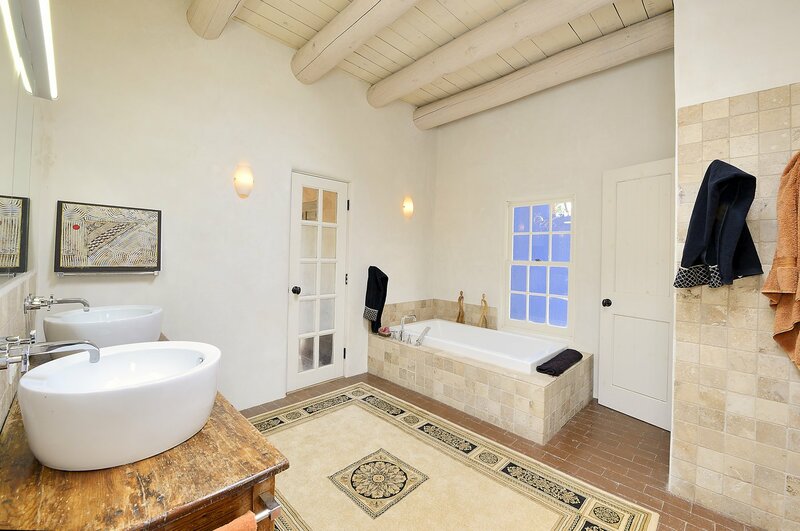 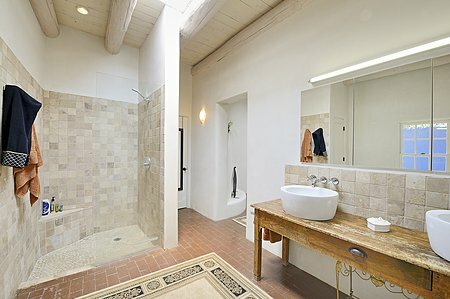 The bedrooms have ensuite bathrooms, with the master bath containing both a bathtub and walk-in shower. Step outside to the brick patio, where the surrounding trees provide a sense of calm and serenity rarely found this close to the Santa Fe Plaza. 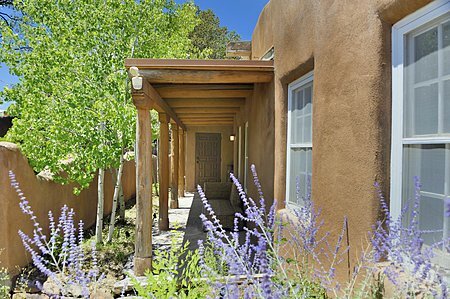 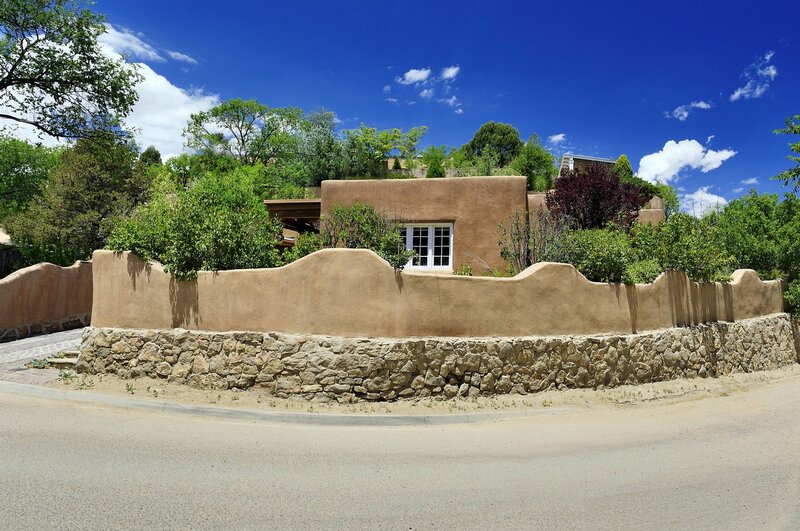 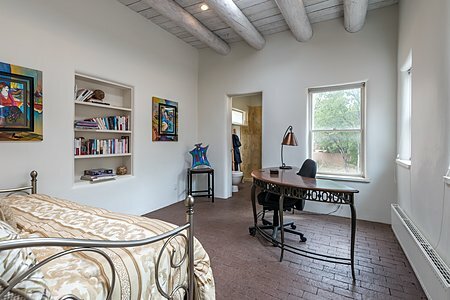 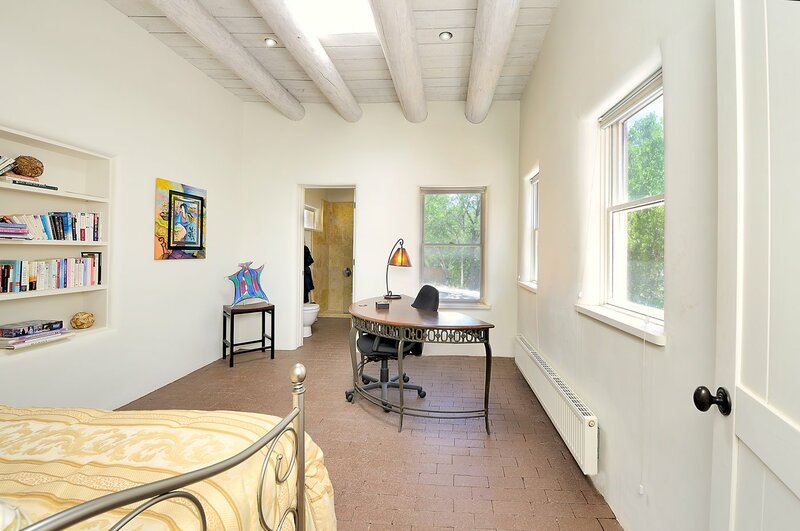 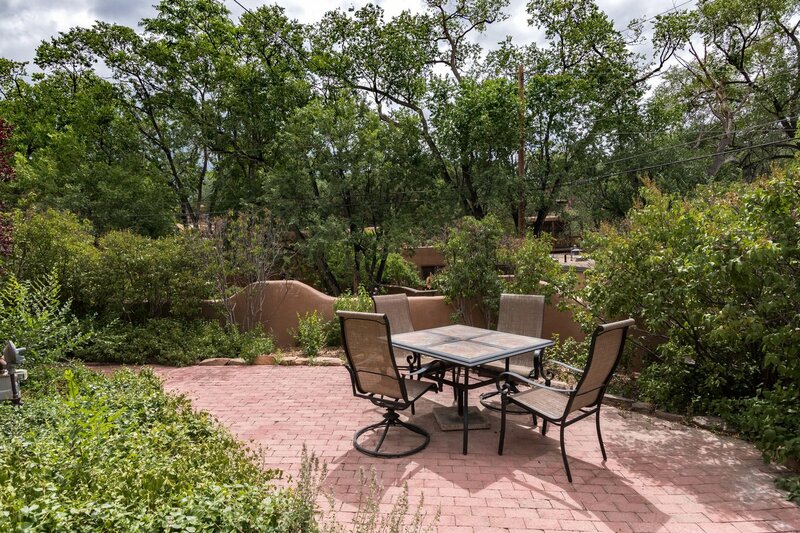 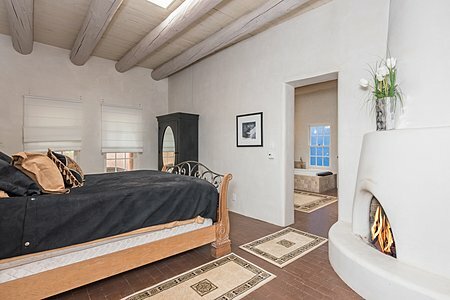 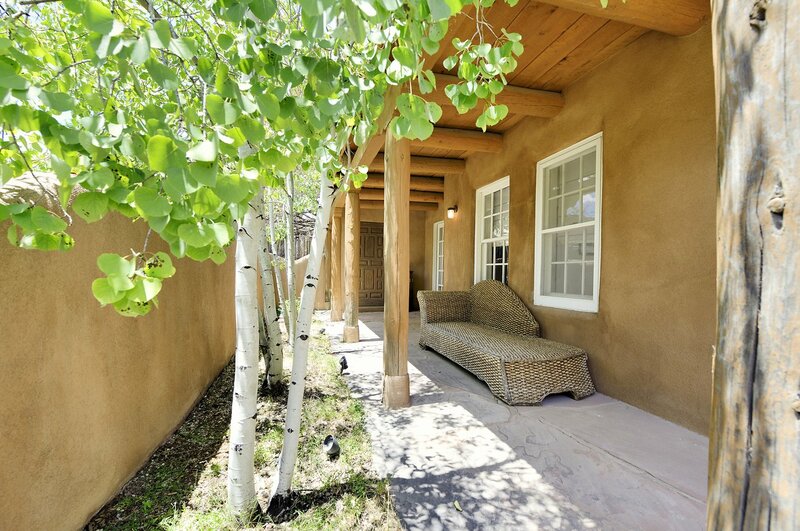 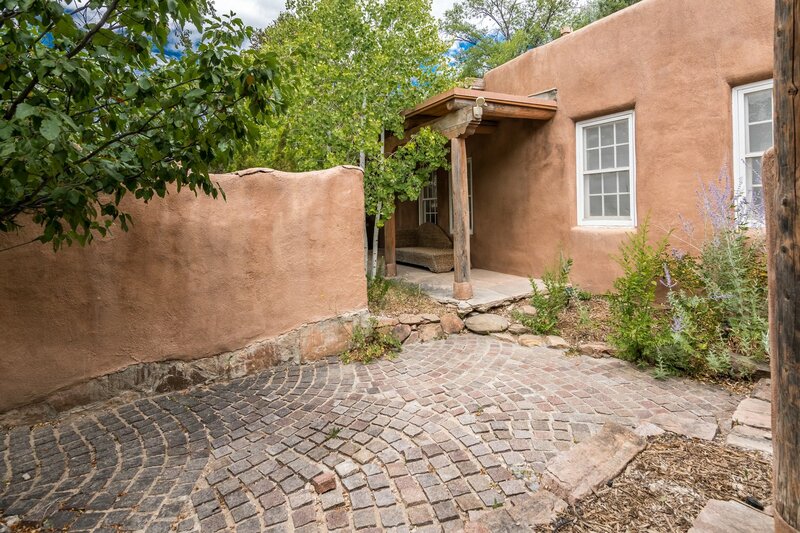 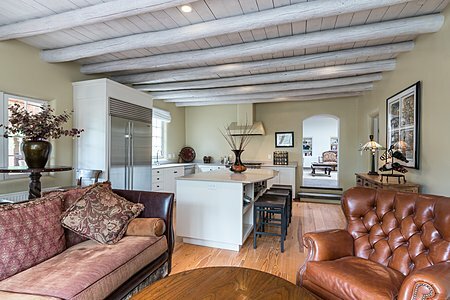 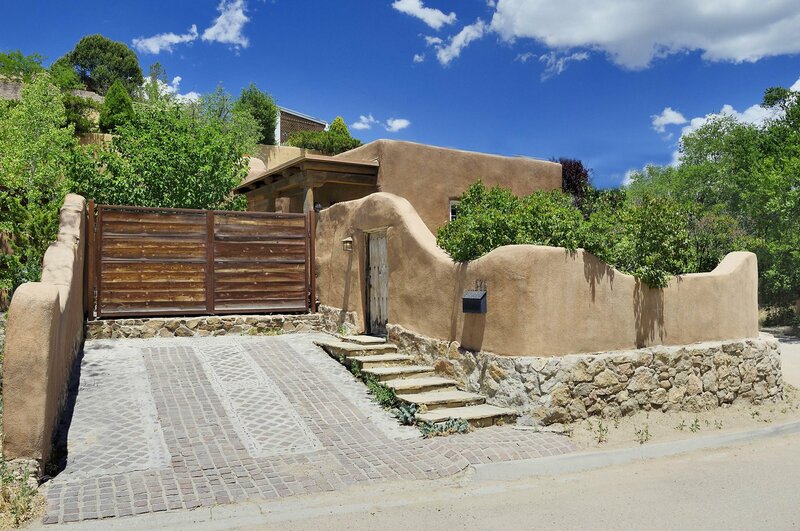 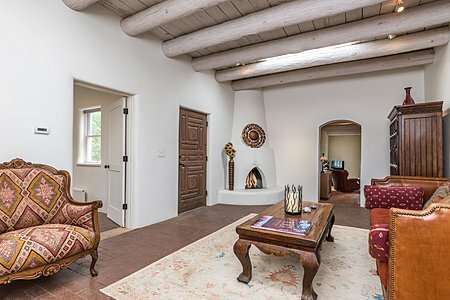 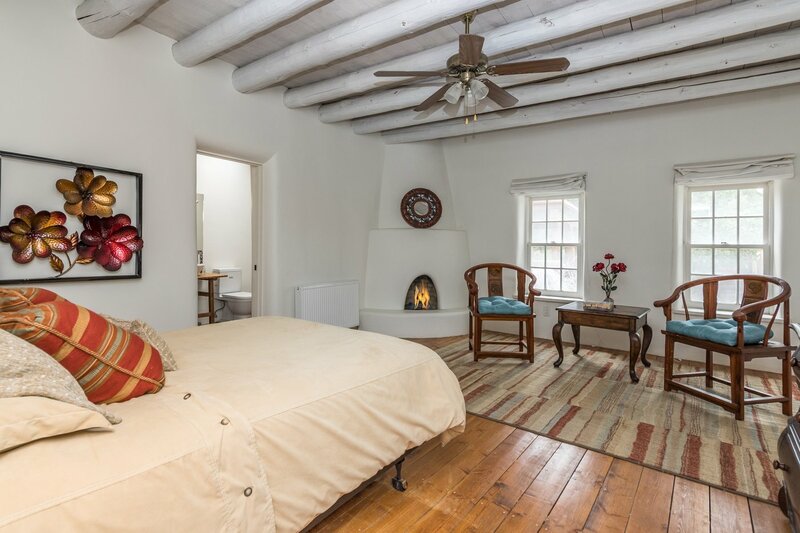 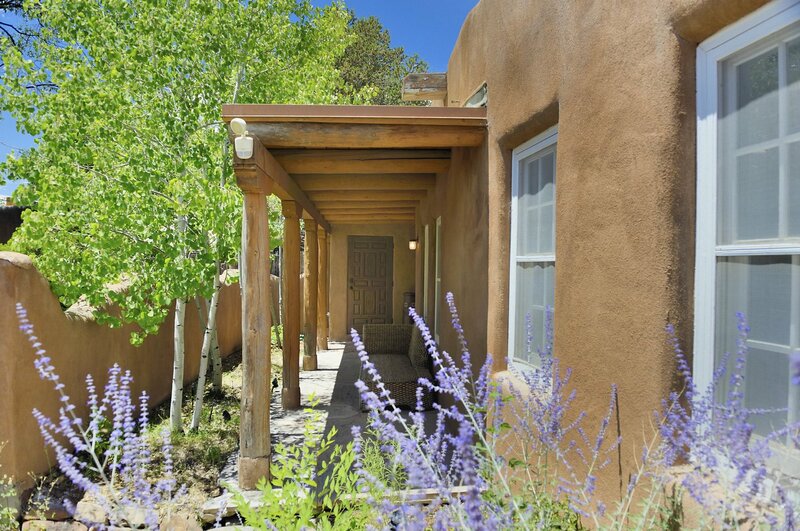 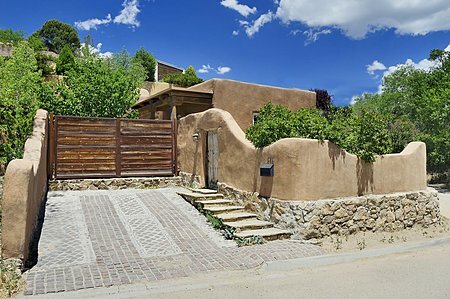 Enjoy easy access to such Santa Fe landmarks as the Plaza, the Canyon Road art galleries, and Fort Marcy Park.